How Can REI Software Work for Me? 24 May How Can REI Software Work for Me? Modern technology is completely transforming the real estate industry. 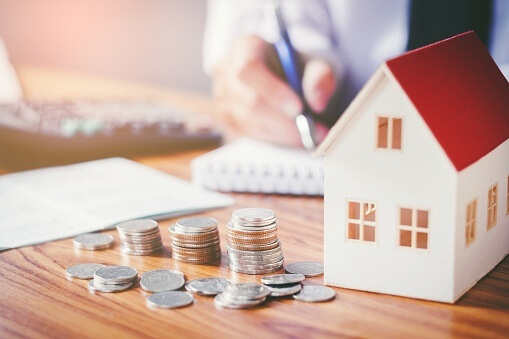 With real estate investing (REI) on the rise, agents and investors are always looking for ways to gain a competitive edge in a thriving market. Today’s top earners utilize REI software to help them think smart, act fast, and make intelligent decisions that are driven by real-time market data. With the right REI tool at your disposal, you can save significant time, work more efficiently, minimize your risks, and maximize your profits. If you’re new to REI tools, you may be wondering how software can be such a game-changer. From automating time-consuming tasks to discovering deals at lightning speed, embracing technology comes with a whole host of game-changing benefits. Whether you’re an investor or a real estate agent, there is significant value to be found in adopting REI software. Still wondering, “How can REI software work for me?” Let us break it down for you. What is the key to being a successful real estate investor? Knowledge—and that’s exactly what REI software delivers. Privy’s unique features empower investors to make smarter, more confident decisions regarding potential deals. With Privy’s technology, you can pull real-time comps on all listings—active, pending, under-contract, and sold—that are fast, accurate and powered by MLS data. The system then automatically builds LiveCMA’s (Comparative Market Analysis) to analyze properties you’re interested in, as well as other profitable deals on the market that you may have overlooked. With a broader picture of the market and accurate, real-time data to back up your decisions, you can stop second-guessing yourself and start making smarter investments that result in higher returns. REI software not only makes investors smarter, but also faster. Everyone knows that speed is everything in real estate. With Privy, it takes just seconds for investors to search for specific deal types (fix & flips, pop-tops, scrapes, and buy-n-holds) from within specific boundaries. By pulling comps from within a designated zone, you can save countless hours that would otherwise be spent sifting through bad comps and deals that don’t meet your needs. Another prime Privy feature is the ability to see fellow investor activity—what they’re paying for properties, what they’re selling them for, how long the process is taking, what finishes they’re choosing, and even before-and-after photos. With the Hot Area Locator, you can also find the best and most profitable areas to invest in, helping you expand your REI business to hot, new markets, or maintain your focus in an area that you may already be active in. REI software helps agents stay informed on all the current happenings in their market. With live, automated updates, you can ensure you always have up-to-date information on the latest investment activity, current market conditions, new deals hitting the market, price changes, and more. Your investor clients love these timely updates. With real-time data at your fingertips, you can use Privy features like the Hot Area Locator to identify the most profitable areas in your market, and then you can pass along this critical information to the necessary group of clients. As an agent, REI tools helps you empower investor clients when it comes to things like pulling comps and locating new deals. By utilizing REI software to share the reins with investors, you can spend less time on tasks like these and more time closing deals. With automation features, you can also stay in front of your clients—even when you’re not in front of a computer or conversing on the phone. With REI software doing all the heavy lifting, working with investors and closing deals is easier than ever before. Privy can send your investor clients new deals, notifications, and LiveCMA’s on the fly, helping keep your clients informed on what’s happening in the current market and, more importantly, in close contact with you as the expert in your specific market. By taking advantage of REI software, both real estate agents and investors can close more deals in less time. With access to the right tools, you can ensure you stay on top of your game—and miles ahead of the competition. When faced with decisions on where to spend your hard-earned money, there are hundreds of options, including real estate investment classes, books written by self-proclaimed gurus, and REI software that promises more efficiency and opportunities for more closed deals. The question you have to ask yourself is this: what is going to give you the biggest return on your investment and give you a consistent leg up on the competition? We think the answer is pretty simple. If you agree, let’s chat.